The Good Food Awards recognizes social and environmental responsibility, while celebrating craftsmanship and flavor - truly good food – the kind that brings people together and builds strong, healthy communities contains all of these ingredients. 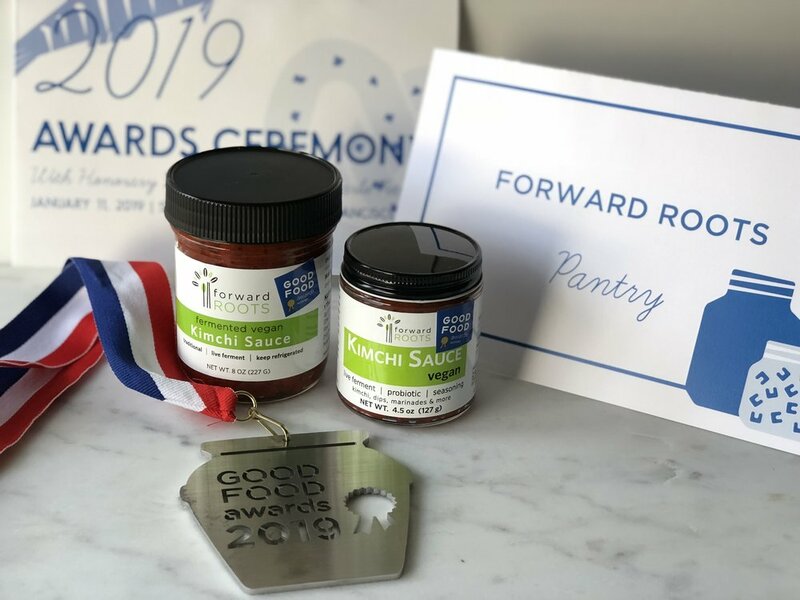 forward ROOTS is proud to be one of the winners in the Pantry Category for the 2019 Good Foods Awards. “The Good Food Foundation exists to celebrate, connect, empower and leverage the passionate and engaged, yet often overlooked, players in the food system who are driving towards tasty, authentic and responsible food in order to humanize and reform our American food culture. Through five key programs – the Good Food Awards, Guild, Merchants Alliance, Mercantile and Fund – we build widespread support for the growers, ranchers, makers and merchants stubbornly swimming upstream to create and share the kind of food we all want to eat: tasty, authentic and responsible.